Your private 6 days tour start from Athens early in the morning and drive through the mountains, in central Peloponnese, reaching the village of Olympia. Ancient Olympia is the birthplace of the ancient Olympic Games in Classical times. There you will visit both the archaeological site and choose between Archaeological Museum of Olympia with a great amound of artifacts and statues in it, and the Museum of the Olympic Games. 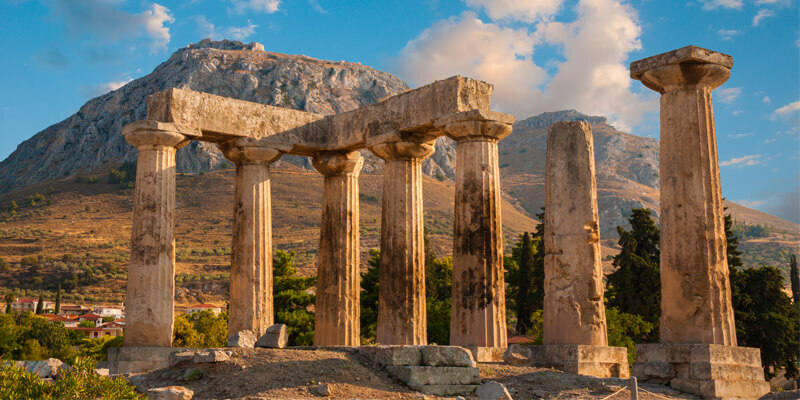 Your private 6 days tour starts from Athens early in the morning and drive towards the scenic coastal road of Athens to the magnificent structure of the Corinth Canal, which is in Peloponnese, the southern peninsula of Greece. The Canal connects the Saronic with the Corinthian Gulf in the Aegean Sea.A dream of the ancients, that came true in 1893. Time for rest and some amazing photos above the Canal. Leaving the Isthmos and driving to the ancient Corinth(the city of Apollo and Afrodite, plus one of the most important visits of St. Paul and lived for almost two years making a very important misionary work).Ancient Corinth was an important state city during the ancient years, the richest and most famous port of the ancient Greece. We will make a short stop for some great photos and rest. There you will visit the archaelogical site and musreum, plus the church that has the 1st Letter to the Corithians written in four languages, Greek, Arabic, French and English.Let’s drive to Epidaurus. There you will visit the ancient theater of Epidaurus with the fantastic acoustics that is even used nowadays mostly in the summer for festival, theatrical plays,music concerts .A must see is also the sanctuary of Asklipeios, son of God Apollo. 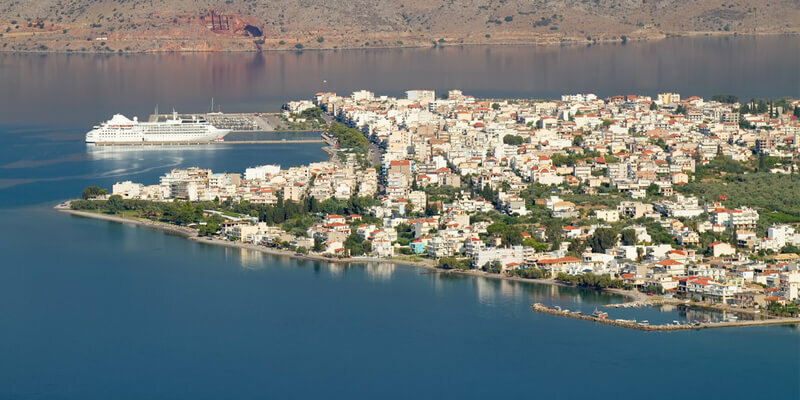 We will go on to Nafplion, the first modern Capital of Greece from 1821 till 1834. You will see the Castle of the city, Palamidi that’s over the town as well as Mpourtzi the island fortress, the first defence line of the port. 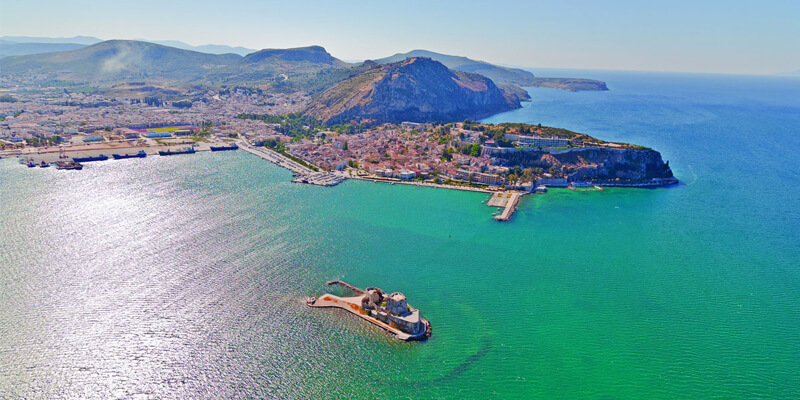 A wonderfull seaside place, ideal for some walking and taste the famous Greek cuisine and have a memorable lunch in a traditional restaurant or tavern .There you can see the old houses of the Nafplion, as well as the local shops that sell handmade objects and jewelry for all tastes and wallets. A perfect place for walking,buyes and lunch. So when you feel hungry get ready to taste the famous Greek cuisine and have a memorable lunch,the tour will guide you to a traditional restaurant or tavern at Nafplion .It’s up to you to choose from a variety of flavors of the most known Greek dishes. Then, the driver will take you to the Mycenae, the golden city of king Agamemnon, the one you united all the Greek cities to fight for a common purpose against Troy. Mycenae was the city from where the Mycenaean civilization started and has an archaeological site to check it out. There you will visit the burial Royal Tombs of the kings and queens, the cyclopian walls, the Lion Gate and the treasury of Atreas,the Cyclopean Walls. After we will drive you to Sparta and overnight there. Free leisure time. Sparta is the home town of the brave Spartans. Don’t be desatisfied with the place, because the Spartans invest on their military NOT in their culture, that’s why they became so fearless. They were following the “Agogi” system, training from their 7th year till their 30th age to be SOLDIERS. That was their profession !There are some cultural structures mainly built from the Romans on the 1st century AD, when they captured the city. You will visit the archaeological site, where is the Acropolis of Sparta ,olive trees and columns that prove the greatness of the city once. Have some great photos in front of King Leonidas Statue, who fought the Persian army in Thermopylae along with his 300 men. Then , you will visit the archaeological and the oil museum. When you feel hungry get ready to taste the famous Greek cuisine and have a memorable lunch;the tour will guide you to a traditional tavern at the small village of Mystras.It’s up to you to choose from a variety of flavors of the most known Greek dishes . Mystras was one of the last Byzantine Outposts and the place that Constantinos Palaiologos, last Byzantine emperor lived. Situated on the mount Taygetos, near to ancient Sparta and served the capital of the Byzintine Despotate of Morea in the 14th and 15th centuries.Very serious fortification buildings and churches can be found there from that time. There you will visit the palace and the monasteries in Mystras, beginning from the Fortress Gate and ending at the Main Gate. After your lunch, we will drive you to Monemvasia and overnight there. Free leisure time. Monemvasia, which means from the words, mone – emvasi. It’s in the southeastern Peloponnese and separated from the mainland by an earthquake in 375 A.D.After that it was called the Gibraltar of Greece. This marvelous city was founded in the 6th century by the Byzantines and used as a very important port. After breakfast, there’s lots to see such as St. Sofia’s Byzantine Church, Byzantine houses and public buildings and the vast cistern that ensured a water supply under a siege. Even Turks used Monemvasia as a Turkish Fortess in the Greek War of Independence and it was so well fortified that took 4 months to be taken back by the greeks after a difficult siege in July of 1821. We will drive to the east south at Diros Caves, one of the most excellent lake caves in the world. They are located in Mani area, and were explored since 1949 because of their size and structure.About ten thousand square meters was explored until now. Stalactites and stalagmites that form imposing pillars are a unique sight in the chambers of Diros Caves and can be seen by small boats. When you feel hungry get ready to taste the famous Greek cuisine and have a memorable lunch;the tour will guide you to a traditional tavern .It’s up to you to choose from a variety of flavors of the most known Greek dishes . By the end of the Monemvasia tour, we drive to Olympia and overnight there. Free leisure time. The Games were held every 4 years from the 8th century BC untill 4th century AD. You will visit the Temple of Zeus, Pelopion the stadium, the Temple of Hera, the Phillipeion, the Phidias workshop and many other structures that worth your attention.You can feel the aura of the Olympic Games, fighting on the Pallestra or running around the stadium and understand why ancients took so seriously the cultivation of body, mind and soul. When you feel hungry get ready to taste the famous Greek cuisine and have a memorable lunch.the tour will guide you to a traditional restaurant or tavern.It’s up to you to choose from a variety of flavors of the most known Greek dishes. 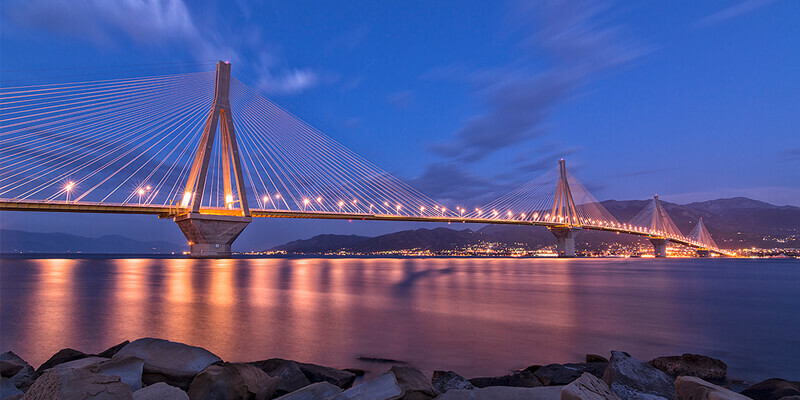 After your lunch at Olympia, we will drive to Delphi, through the largest cable bridge in Europe, Rio Antirio, and the magnificent town of Nafpaktos and Itea. Overnight and free time in Delphi. In the morning and after your breakfast, you’ll visit both the archaelogical site with the ancient theatre, and the museum. Delphi is the first touristic attraction of the antiquity, as it was busy all the year round. It was the place God Apollo had his sanctuary,that the prophesis were given to every man, every prince, general and king by Pythia the High Priestess.It was the center of the universe, according to Zeus, king of the Gods. You will visit the Oracle of Apollo, the Omfalos, the temple of Athena Pronaia, Kastaleia Spring and see some magnificent artifacts and statues, such as Eniochos the charioteer, the twin Brothers and Sphynx of Naxos. When you feel hungry get ready to taste the famous Greek cuisine and have a memorable lunch.the tour will guide you to a traditional restaurant or tavern.It’s up to you to choose from a variety of flavors of the most known Greek dishes. We will lunch there with a great view of mountain Parnassus and Itea and after that we ‘ll drive to Meteora. Free Leisure time and overnight on Kalambaka or Kastraki. After your breakfast you will visit the monasteries of Meteora. They come second in relegious importance and size after mount Athos in orthodox christianity. Meteora means “middle of the sky”, “suspended in the air” or “in the heavens above” and the monasteries are built on high pillars at the northwestern edge of the Plain of Thessaly near the Pineios river and Pindus Mountains, in central Greece after the 11th century and on and they were never abondoned as there live monks and nuns up today. The monasteries are: St. Nicolas, Grande Meteoro, Varlaam, Rousannou, Holy Trinity and St. Stephen. There you will visit up to 3 monasteries, depends on the day and you,admire the wonderful, panoramic view and when you feel hungry get ready to taste the famous Greek cuisine and have a memorable lunch.the tour will guide you to a traditional tavern at Kalambaka or Kastraki..It’s up to you to choose from a variety of flavors of the most known Greek dishes . Our next stop is the battlefield of Thermopylae or Hotgates and the Hot Springs, where King Leonidas and the 300 brave Spartans gave their lives for the freedom of Greece. Honor and Glory was their moto. They achived both, as their memory lasts for ever. After that religious and historical experience, it is time to return back to Athens.